First off, the campaign is very different from most other offerings on the market. To start, the prologue of the campaign actually did something that Battlefield has simply never done for me; it made me feel something. In the words of the game’s narrator, “Behind every pair of sights is a human being,” and the prologue seems relatively intent on making sure you remember this. It’s a mission that must be played to be experienced, so I’ll leave the details as few as possible here. 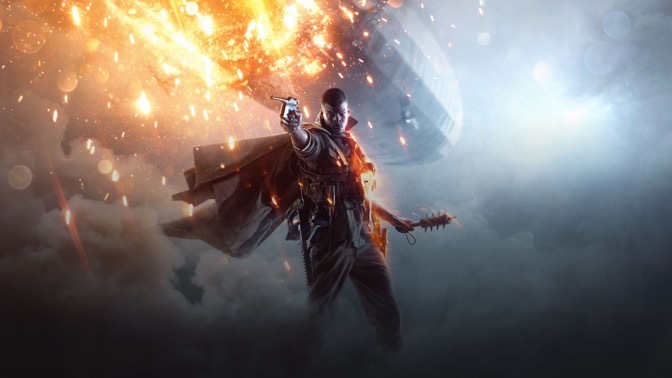 While most modern shooters feel compelled to give you one action-hero story following the adventures of some unstoppable badass who’s probably called WhiteGuy McNeverDie, Battlefield 1 tells 5 vignettes across the many fronts of World War I, ranging from flying the dangerous skies to running suicide missions as elite Italian soldiers to guerrilla warfare in the Arabian deserts. Each vignette only runs about two hours, and this benefits the game in two major ways. The first is that there is really never a chance to get bored; you’re never flying long enough to hate flying, you’re never sneaking long enough to hate sneaking, never driving a tank long enough to hate driving a tank. If you don’t like Danny Edwards, you’re only with him for two hours; if you don’t like Clyde Blackburn, you’re only with him for maybe an hour on the hardest difficulty; if you don’t like Zara Ghufran, first of all, you’re wrong, but you won’t be playing as her for long. The list goes on, but, long story short, the variety is beyond welcomed. The only major failure of this variety is the lack of an Axis Powers campaign, especially given the aforementioned message that there is a person behind every pair of sights. Given that it has been over 100 years and most people can’t even tell you why the Axis Powers were fighting, it feels like a noteworthy absence. The second major success of the campaign is that, for once, it actually feels like it prepares you for the multiplayer. The campaigns of the last few Battlefield games have generally failed in this. Hardline focused too heavily on the arresting mechanics, and Battlefield 3 & 4 focused too hard on making you feel like a badass. None of them prepared you to pilot the vehicles and none of them were challenging enough to get you in the mindset of fighting other players. The only place this falls short is some slight variations in the plane controls, but they’re nothing compared to trying to pilot a helicopter for the first time in the last 3 games. The largest sin of the campaign is simply how arbitrarily frustrating some sections can be. The chief offender here is the last chapter of the campaign, “Nothing is Written”, which pits you against “Instakill the Train”. Over an hour of satisfying gameplay that allows you to address every situation how you want to, from loud and violent to quiet and precise and everything in between, culminates in a ten minute segment of running back and forth lest you be instantly killed by cannons. Put succinctly, some of the segments are just aggressively un-fun and sour the whole experience. The multiplayer is much more straightforward when it comes to its successes and failures. The largest success comes from the setting and feel of the game on the whole. 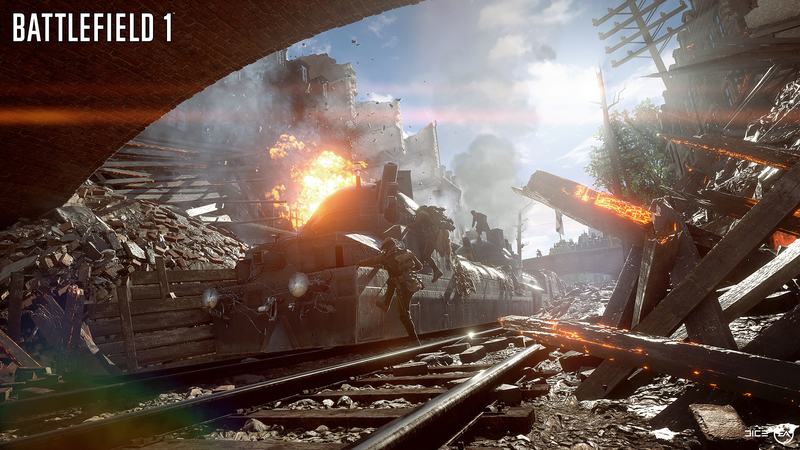 For the first time ever, Battlefield feels like being in the middle of a warzone. Mortar shells blow fountains of dirt and gore into the air, buildings crumble under sustained fire, tanks get stuck and overwhelmed, and infantrymen die in the blink of an eye. This brilliant tone gives two major benefits to the experience. First, it lends the game an intensity that I’ve genuinely never experienced in any other game. There are moments that genuinely feel hopeless as a tank blows a hole in the cover that you thought was safe, and there are moments that feel triumphant and exhilarating as a score of troopers sprint to the next objective howling battle cries. Second, and most unexpected, this actually makes it less frustrating to die. When so many bullets are flying across so much open ground, what else can be expected? While this has the potential to be frustrating, it also feels like you are participating in this hail of bullets. Snipers can always be flanked or outgunned, aside from that terrible ridge on the map Suez, tanks can always be overwhelmed and bombed out, and planes can always be shot down. Every situation feels like it can be countered with good team play and smart thinking. Though every mode is at least fun, the real star of the show is the brand new Operations mode. Combining the classic Conquest with the relatively new Rush across multiple maps really makes the conflict feel large-scale and ever changing. Pushing the front back as an attacker or repelling a large assault as a defender are immensely satisfying experiences. This is, without a doubt, where I expect most players will spend the majority of their time. The only real complaint I have about any of the modes in particular is that the quirky new War Pigeons mode, which requires you retrieve a pigeon to send firing orders with, has no time limit. This means some matches can be five minutes while the longest I had went for the better part of an hour. Unfortunately, as with all objective-based games, relying on teammates can be beyond frustrating. Though no fault of the game’s, it’s an unavoidable aggravation that you will encounter players who care more about their K/D than the objective, medics who refuse to revive people, and players who refuse to be revived, and without any system to mix up and rebalance teams between matches, staying in a playlist with an uncooperative team can be the height of annoyance. Getting a bad team can turn a fun session into a dreadful slog, especially given that some matches can take upwards of an hour. 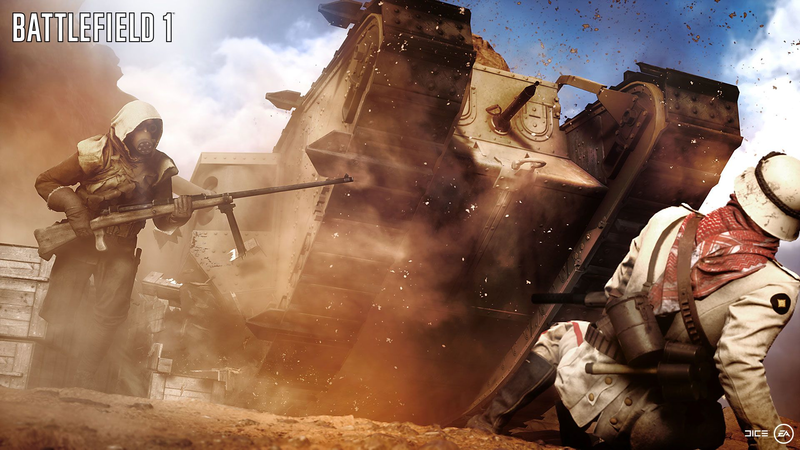 Ultimately, Battlefield 1 is a surprising breath of fresh air in a field that has become oversaturated with too-badass, too-futuristic shooters. Enough has changed to earn the series a new fan, but enough is the same that it will definitely appeal to fans of the series. While it is a great time on the whole, sessions and sections of the campaign that are arbitrarily frustrating take away from the experience. CJ Streetman is the Managing Editor at Byte BSU and a contributing editor for Death of the Critic. Their professional pursuits include counseling, games journalism, and poetry. Who is the Next Enemy?